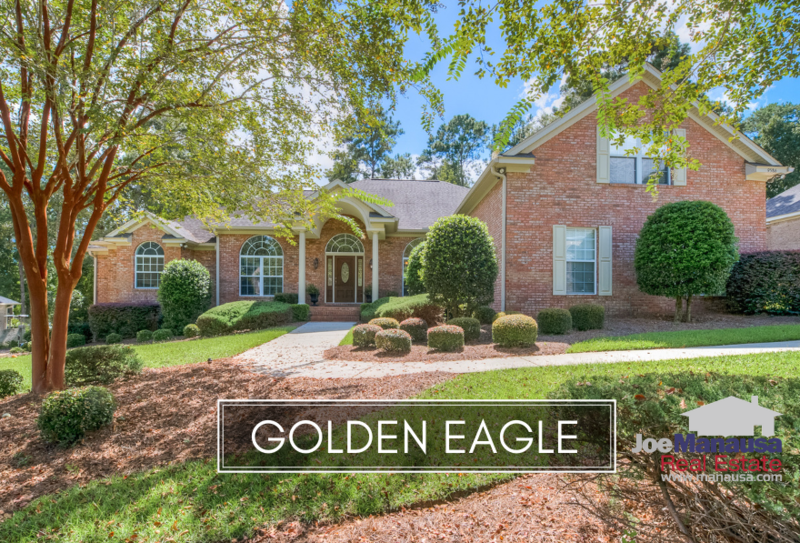 Golden Eagle Plantation sits in the heart of Killearn Lakes Plantation and features the type of luxury homes one would expect to find in a gated golf course community. Situated around the world-class Tom Fazio designed Golden Eagle golf course and offering large homes on half-acre+ sized lots, buyers get it all here including walking trails, fishing and lakes, A-rated schools, and so much more. The narrative contained below is for sales through December for all past years and through the fourth week of January in 2019. All the graphs and the closed sales table will be continuously updated into the future (meaning bookmark this page if you always want to know the current status of homes in Golden Eagle Plantation). The average home sales price in Golden Eagle Plantation in 2018 was $546K. Prices rose in 2018 by nearly 14%, but we'll have to see how they resume this year with the threat of higher mortgage interest rates. Through the fourth week of January, there have been no homes sold and closed in Golden Eagle Plantation. Activity in Golden Eagle was vibrant in 2018, posting the second most number of homes sold since 2006. As mortgage interest rates rose late in the year, we saw sales decline. Only eight homes sold and closed in the final quarter of 2018. Golden Eagle home values rose more than 4.5% in 2018, up to an average of $161 per square foot. The upscale homes market did very well, buoyed by low mortgage interest rates and a stronger economy. Future values here will also be strongly influenced by the economy (jobs) and the availability of cheap money (low mortgage interest rates). Below, take a virtual walk through our 3-D digital tour of an incredible home in Golden Eagle Plantation. 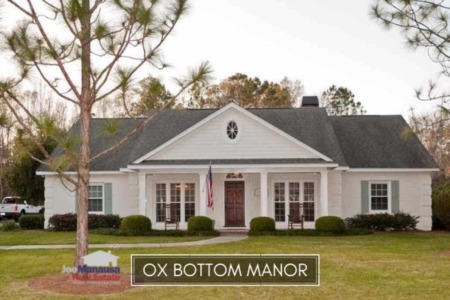 If you'd like to see an amazing home like this in person, give us a call at (850) 366-8917 or drop us a note and we will get you in to see a house right away! The average home size sold in Golden Eagle Plantation typically falls in a range of 3,000 to 3,500 square feet, and 2018 was no different. The 53 homes sold in 2018 averaged 3,341 square feet. 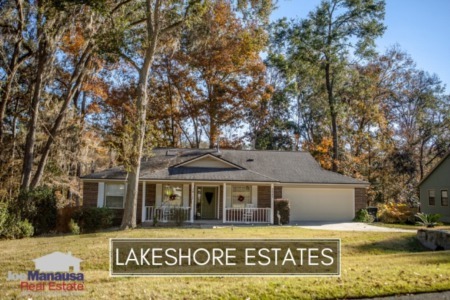 This concludes our January 2019 update on home sales in Golden Eagle Plantation, please give us a call at (850) 366-8917 or drop us a note if you have questions about this high-demand gated community in NE Tallahassee. Are you preparing to relocate in 2019? Here's what people are saying about working with Joe Manausa Real Estate, you can see hundreds of real customer reviews reported on Google, Facebook and Zillow right here: http://www.manausa.com/testimonials.